Yesterday saw another first in this, my year of authorly firsts. 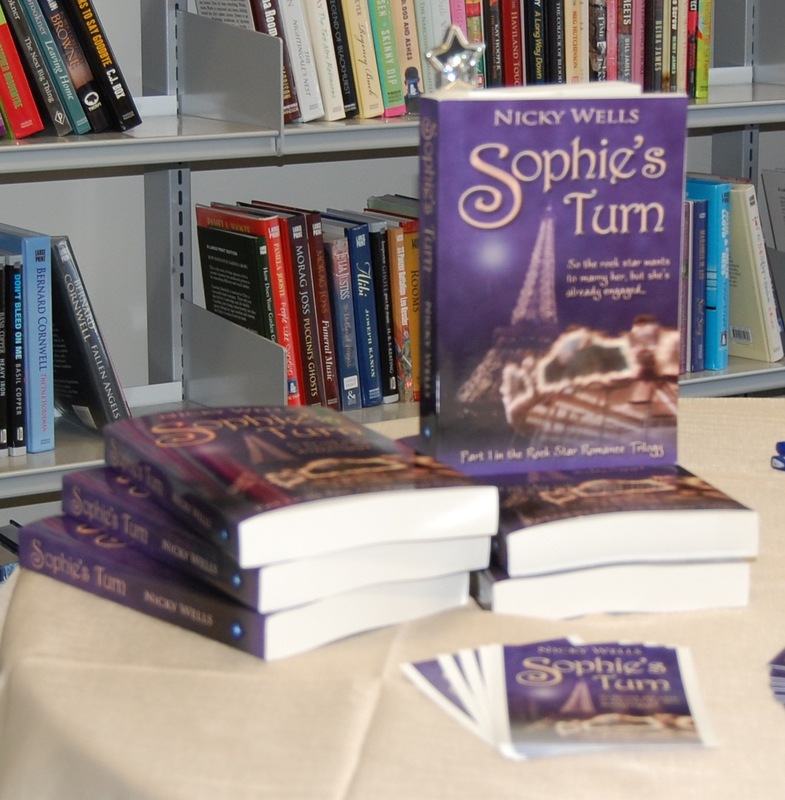 I hosted my first meet-the-author and book signing event. Hooray! 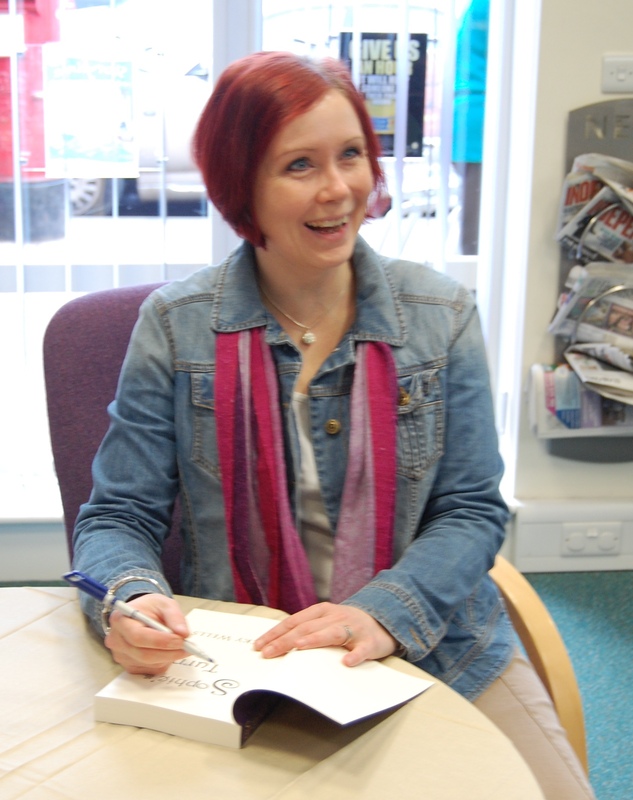 A few weeks ago, I connected with my local librarian, the lovely Karen Waring, and she was extremely enthusiastic about the idea of hosting a local author in one of her libraries, complete with book signing event. 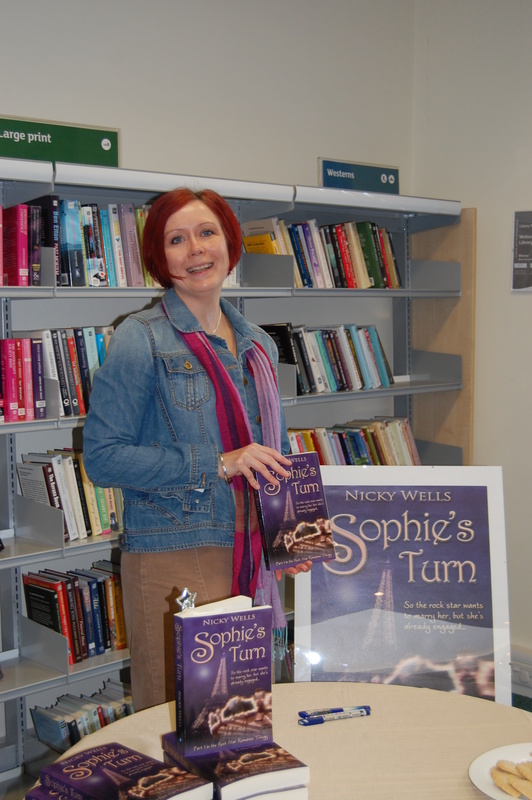 We picked a date (20 October) and a place (Welton Library, in Welton-by-Lincoln) and even set a time (10 a.m. to 1 p.m.). We were on! Both of us set to work publicising the event and yesterday morning, I presented myself at 9:50 a.m. to set up shop. Was I nervous? Of course I was a little nervous. One worry was simply: would anyone turn up? And the second worry was: how would people feel about being invited to buy a book in a library, where they normally come to loan their reading material? Well, here’s how it went. Books ~ check. Postcards ~ check. Bookmarks ~ check. Tasty treat ~ check. Visual hooks ~ check (1 book standing up, 1 big poster). Taking a closer look… yes, I think this is good. Spy the fancy bookmark in the upright copy? This was a publication day present from two very special people and doesn’t it just add panache to the ensemble? A big Thank You to my amazing loveahappyending friend, Sheryl Browne. I owe most of the ideas for this display, specifically the visual hooks, getting a copy of my book to stand upright, and the absolute need for a table-cloth (!) 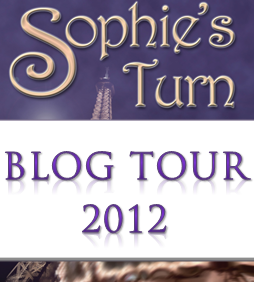 to a stellar blogpost she wrote on book signings on the Romaniacs blog. Sheryl, it worked! Meet the librarian: give it up for Karen! Caught sharing a laugh off camera… Having fun already. A huge Thank You to Karen for her amazing enthusiasm and stellar support. It is outstanding to have a library working so hard at creating a real sense of community and at bringing authors and readers together. 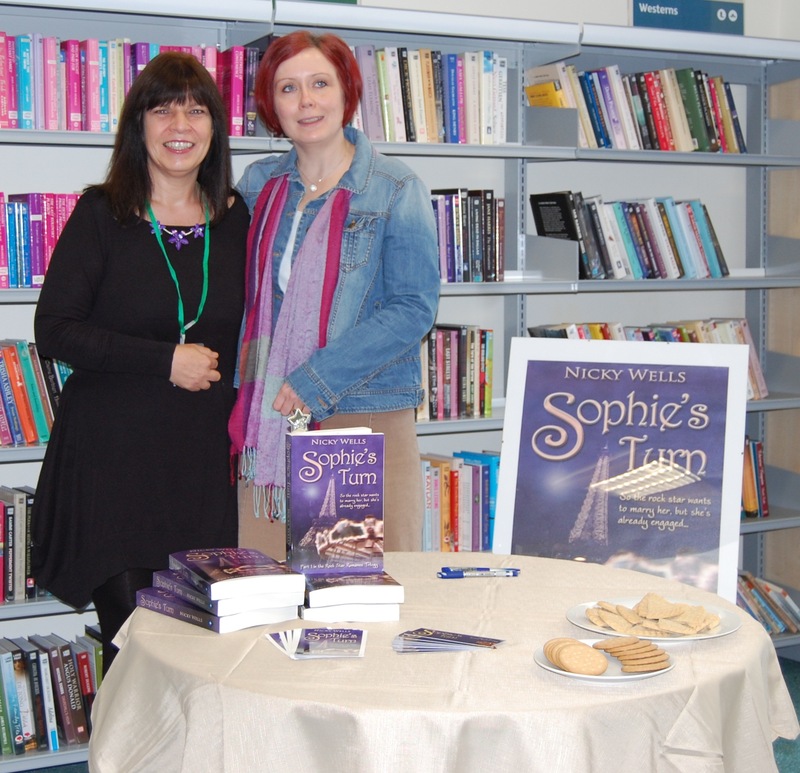 I feel honoured and privileged to have made friends and I look forward to many more book signings in libraries up and down the county (and beyond?). You rock! Thank you also, of course, to Karen’s fellow librarian, Jo, for helping set up, directing people my way, taking photos, printing photos, making cups of tea and generally keeping things ticking over. You ladies are a brilliant team! Yes! Readers came! My first visitor arrived at just a few minutes after 10 a.m. Witness: my first author signature in a newly-purchased reader’s copy of Sophie’s Turn. Awesome feeling! Of course I’ll sign another! Honestly, I had no idea this would be so much fun! Thank you to everybody who agreed to have their photo taken and let me post it right here on my blog. Obviously, I had a lot of fun. Huge amounts of fun, in fact. I look forward to doing it all again. Did people come? They certainly did. I barely had a moment’s rest during the three hours. I met some wonderful people and had some fantastically interesting conversations. It was amazing. 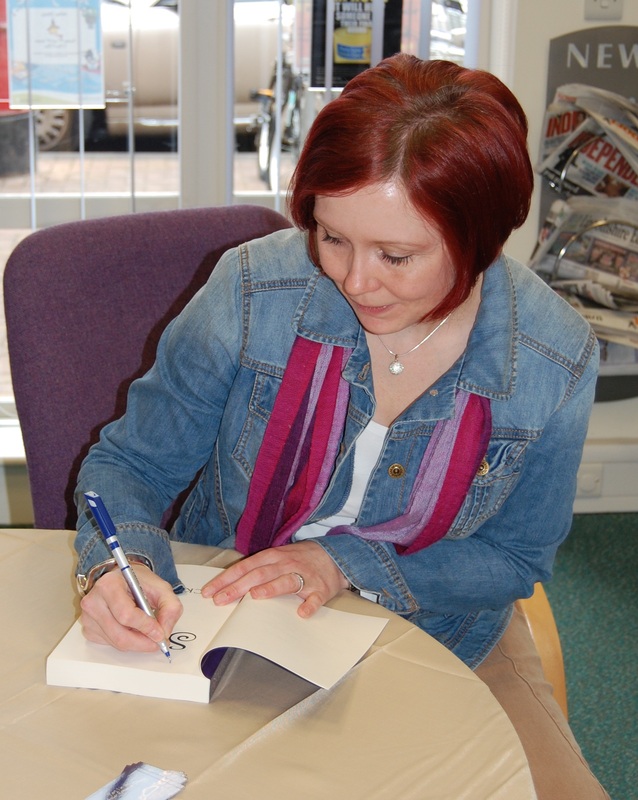 Did I sell and sign some books? You already know the answer to that. Yes, I sold some books. Not dozens, and dozens. But more than I dared hope. 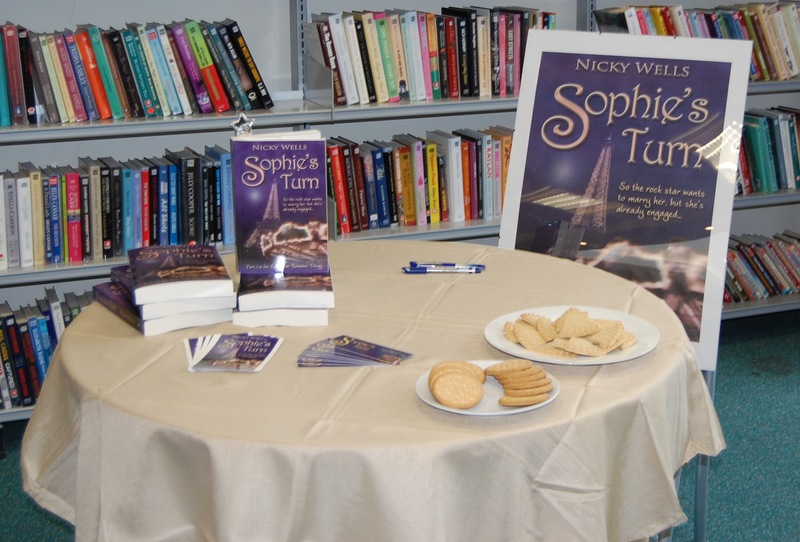 Moreover, two of my guests took a copy of Sophie’s Turn out of the library there and then in addition to the copy that had already been borrowed earlier in the week. There are copies in circulation! And as if that wasn’t enough, I’m told that two or three people requested a loan copy today so there is now a waiting list. My heart sings. Lessons learned. Was it a perfect event? Probably not. Here’s what I will do differently next time. 1) I will have a proper stand for my huge visual. 2) Wherever possible, I will set myself up in direct line of vision (and walking) of the front entrance. The most important tool I had to draw people into conversation, apart from the librarians’ kind assistance, was eye contact. It’s easier to make eye contact if you’re unmissably in the line of sight; therefore, in future, I will put myself there. 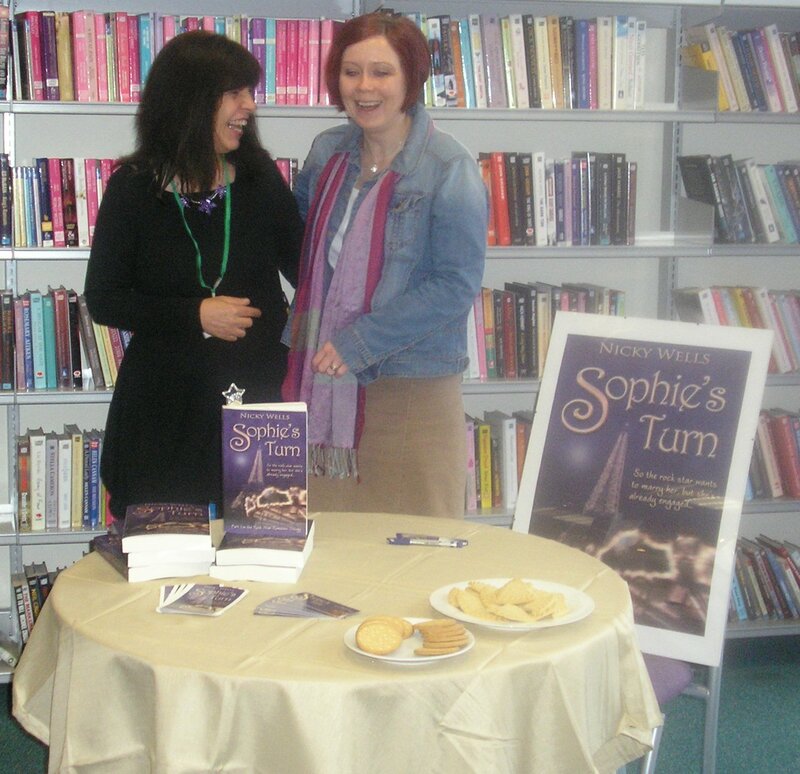 3) I will print out and have available for perusing some of the fabulous reviews that Sophie’s Turn has received. 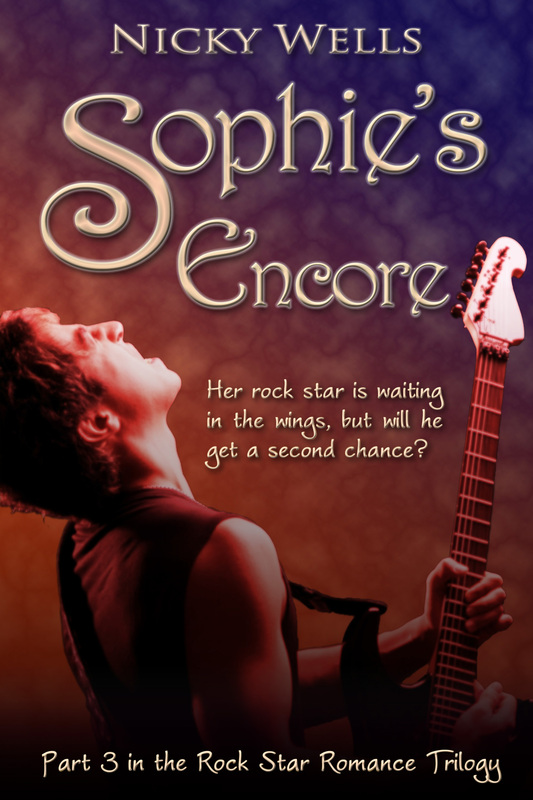 This will get me around the uncomfortable moment of reassuring potential readers that of course Sophie’s Turn is a fantastic read. Instead of bragging, I can just let the reviews do their work. Easy, and obvious (hindsight is always 20-20!). So this was it. My inaugural book signing event. I am elated, excited and exhausted. 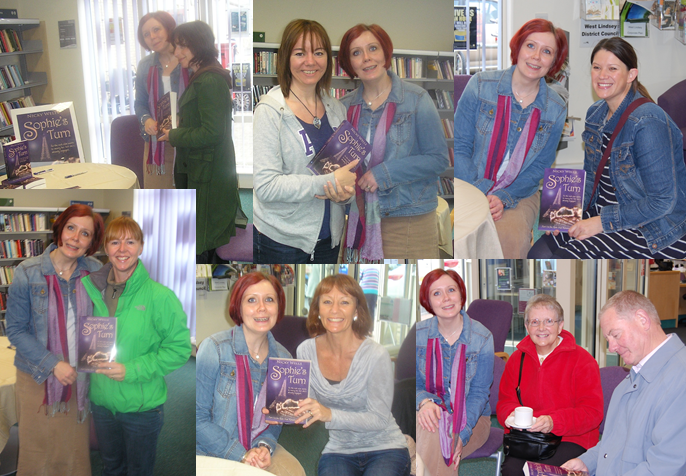 I feel very fortunate to have had my first signing event in such a lovely and supportive environment, and with such enthusiastic hosts. I hope everyone who bought or borrowed my book will enjoy it and spread the word. Thank you. And I look forward to the next event… Karen has some places and dates in mind, and I am in her extremely capable hands.